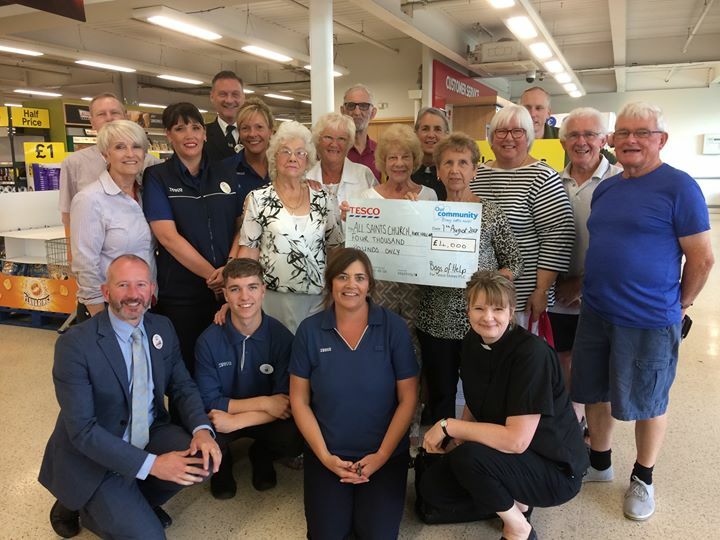 The Tesco Bags of Help winners for May/June were in the Ilkeston Tesco store today to celebrate their good fortune and to have photographs taken. The Revd Christine French and members of All Saints Church Kirk Hallam were hoping for funding towards restoring their very old pipe organ. Shoppers responded positively putting their blue tokens in the church’s slot. Result: a £4,000 grant which will be used to get the organ fixed and the music back to its best.